SAILEAD OBD2 reader is a great upgrade from the more basic diagnostic Code Reader. The major function of this scanner is detecting the Engine System, read and clear the error codes. Once plugged into your vehicle’s 16pin OBDII DLC, the unit will power up and prompt you to start your ignition. 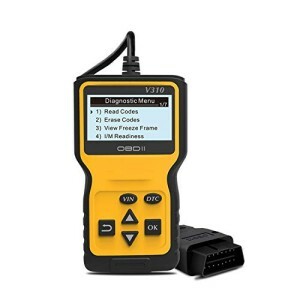 If your vehicle has a Check Engine Light comes on, you can use V310 scanner to read the error codes, find out what the problem is, and perhaps fix it. Where can I plug the OBD? 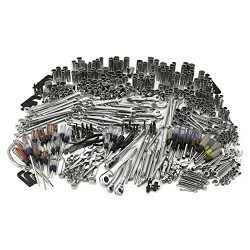 The OBD port is often under the dash, or under a panel below the handbrake in the centre console. Simply plug into the OBD II port on your car and turn ignition on and you ready to go. SAILEAD vehicle scanner is supported by EXCLUSIVE engineer and service team to guarantee top-level product and service in the industry. 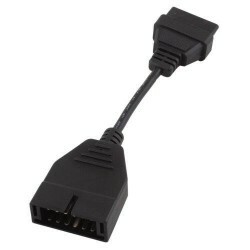 MOST COMPATIBLE: Works on most vehicles sold in the USA with model year of 1996 or newer; Supports all OBDII protocols: J1850 PWM, J1850 VPW, ISO9141, KWP2000, and CAN (Controller Area Network); Works with English, German, French, Spanish, Finnish, and Dutch. ACCURACY & LIVE: Live data in both graph and text forms. 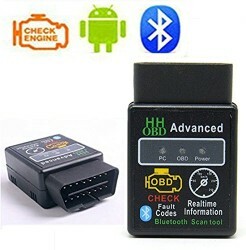 Accurately read and clear vehicle error codes for Worldwide cars, SUVs, light truck and 12V diesels equipped with Obd2. Besides, the car scanner also shows live vehicle sensors data in text and graph format and allows you to focus on any suspicious or symptom-specific data parameters. CLASSIC DESIGN: OBD II Car code reader is equipped with a 2.5 feet long cable and made of a very thick flexible insulator. There are 6 buttons on the V310, scroll up and down buttons, enter and exit buttons and a quick query VIN vehicle number, one button to quickly query the DTC fault code. 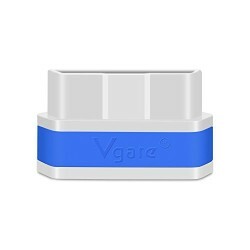 NO need any BATTERIES or CHARGER, gets the power directly from the OBDII Data Link Connector in your vehicle.